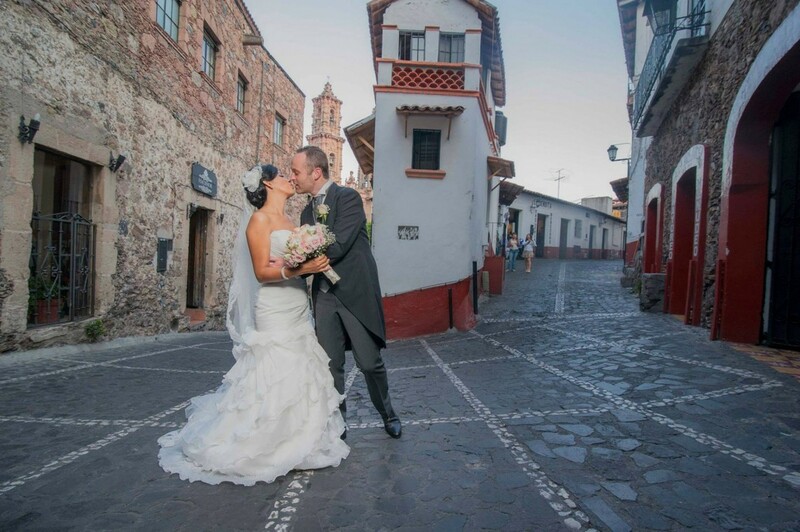 Taxco de Alarcón Guerrero, recognized worldwide for its beauty and named Luz city. It is a place full of culture and traditions with its narrow streets of viceregal style, white walls and red tile roofs. 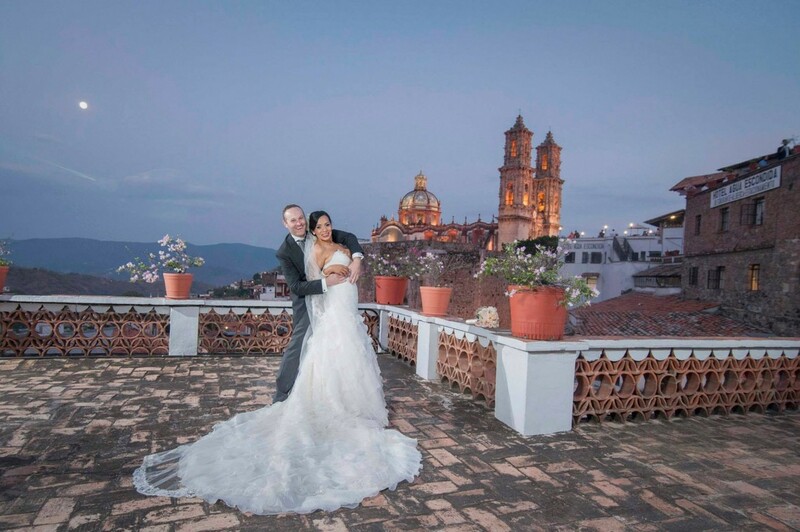 During the last years Taxco has been chosen by many couples from all over the world as the first destination and they have been amazed by the magical town, with its people and its gastronomy making Taxco the ideal place for your wedding. 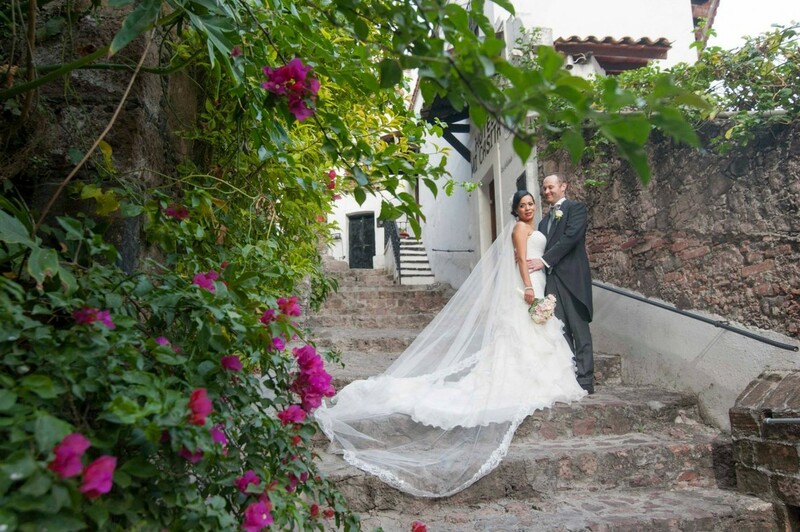 Hotel Agua Escondida is located in the heart of the city of Taxco and just one step away from the best jewelers, in front of the famous Parish of Santa Prisca, a few steps from museums, shops, banks, bars, restaurants and all the tourist attractions important of Taxco, is the ideal place to enjoy and make your wedding an unforgettable day in the company of your family and friends. 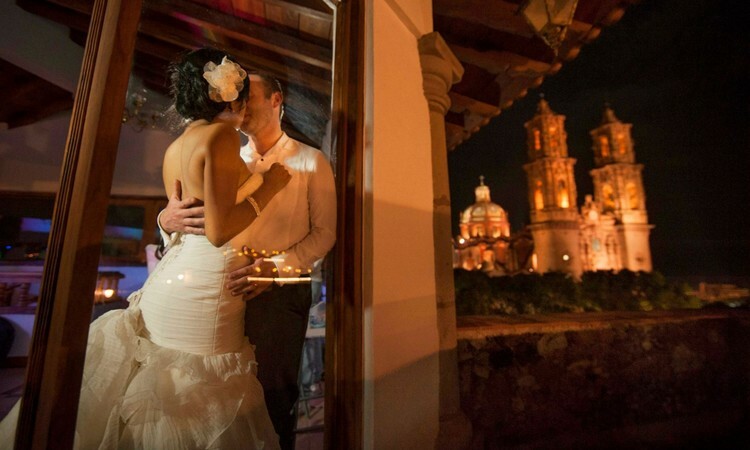 We put at your disposal our "Chulavista" room with a capacity of 120 people and a spectacular view of the city and the Cathedral of Santa Prisca. Our central terrace can accommodate up to 200 guests with a view of the entire city. 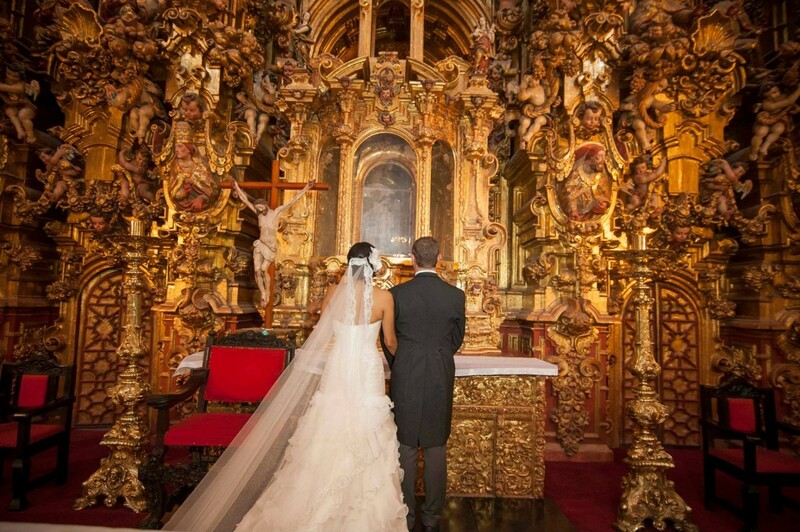 A courtesy suite for the couple (1 night) with breakfast included. Welcome cocktail for your guests in one of our terraces.